A 58-year-old woman who was raised in the Catholic faith is now the proprietor of a medical marijuana business known as Sisters of the Valley. Last year alone, the company raked in around $750,000 in gross sales receipts according to a recent news article from Business Insider. While this is not all profit, it does show that this is becoming quite a profitable enterprise. The women who work at the company wear habits similar to those in worn by Catholic nuns, but the company is not affiliated with any Catholic order. She calls this her new calling, and this is to provide much needed medical cannabis to patients in need. She operates the company from her home and says that she is working to erase any negative stigma commonly associated with medical marijuana. She wants to make it clear that this is medicine with true healing ability and not just an excuse for people to smoke pot and get high.There are seven members of her company, and all of them are also nuns. They made their habits from used pillowcases and wear white shirts with denim skirts. They grow hemp, which is closely related to marijuana, and make a variety of products including salves, tinctures, and oils. These products are made from hemp, so they contain CBD and do not contain any significant amounts of THC. There is much debate over whether CBD alone has any real medical benefits, but it is argued by many vendors that it is just as powerful a painkiller and stress reliever without any of the euphoric effects of marijuana, which are caused by the active THC. There is also a lot of debate surrounding the legality of CBD products. As our Riverside medical cannabis attorneys can explain, the government allows hemp to be manufactured and sold due to a 2004 court opinion that excluded hemp. Hemp was used for hundreds of years before being outlawed for purposes that had nothing to do with drug use. It has been used in many commercial and even industrial applications. These days, you can go into the one of the many tobacco vape shops and purchase CBD oil made from hemp, even in states where medical marijuana is illegal, and there is much debate over whether not this is allowed, but there has been little enforcement. One of the reasons for this may be that users are not getting high or taking it recreationally, so it is not considered that big a deal, and it falls under what many consider a gray area anyway. Under this reasoning that hemp is not illegal, the Sisters of the Valley sell their products on the Internet and will ship them to anywhere the customer requests. They currently grow 12 hemp plants in the home’s garage that is now a greenhouse with artificial grow lights. 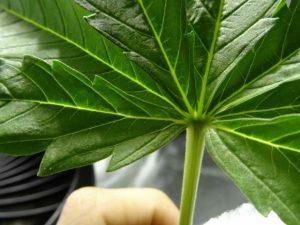 12 plants is the most allowed under local law. One thing to keep in mind is that it often takes much more industrial hemp to extract usable oil than it does with marijuana. This means the environmental costs and so-called carbon footprint is much larger when dealing with hemp as opposed to marijuana in many cases.